Whichever stylish Sunbrella fabric you choose, you can be sure Sunbrella’s vivid colors won't fade like other fabrics or vinyl. 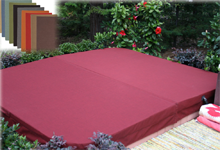 Sunbrella fabric’s color is an integral part of the fiber, it cannot be washed out or bleached by the sun, rain or chlorine. 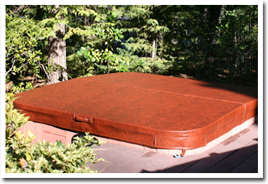 This durable and easy to care for spa or hot tub cover is produced locally in Northern California to the highest standard. years. 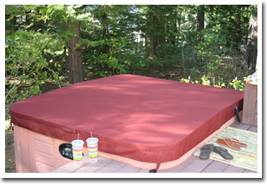 Sunbrella’s innovation has allowed All Seasons Spa Covers to enhance the looks now available in spa and hot tub covers with a wide range of beautiful colors to choose from. 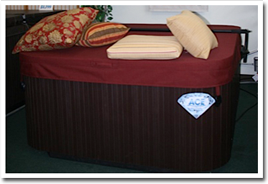 We are available 8:00 to 4:30 Pacific Standard time, Monday thru Friday.